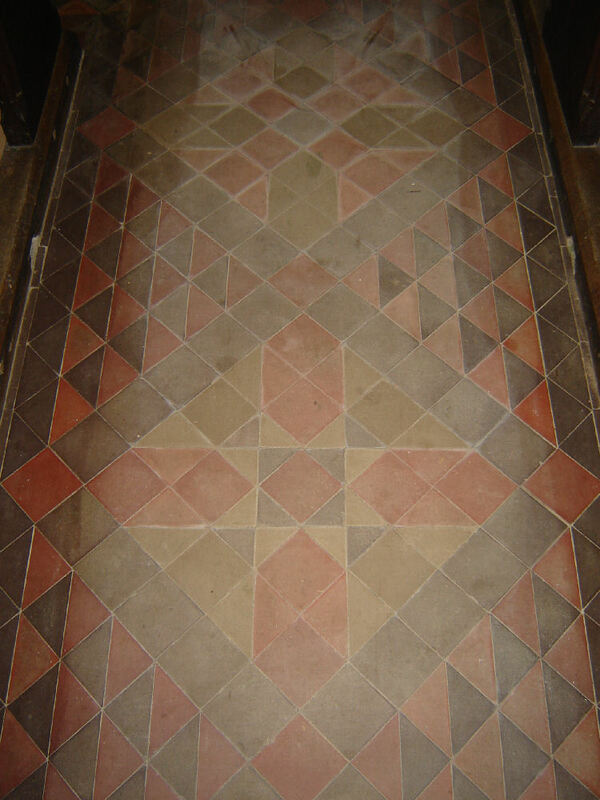 After moving to Bloxholm General Manners set about refurbishing the church…… Adding geometric detailing through the new floor design installed within the church. 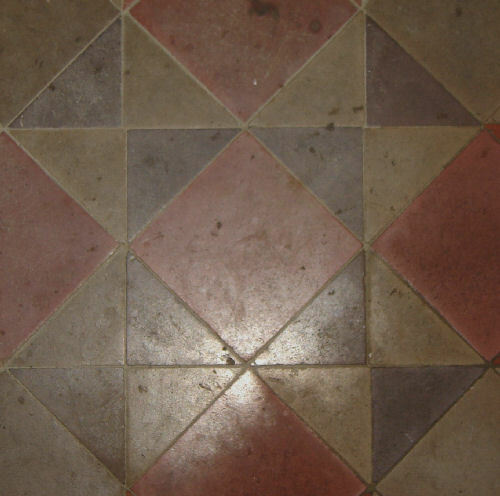 The main intricate pattern runs the length of the aisle and is based around squares and 45 degree triangles …..both of which can be shown in the square itself, by connecting the diagonal corners of the square a triangle is formed with two 45 degree angles and one 90 degree angle. 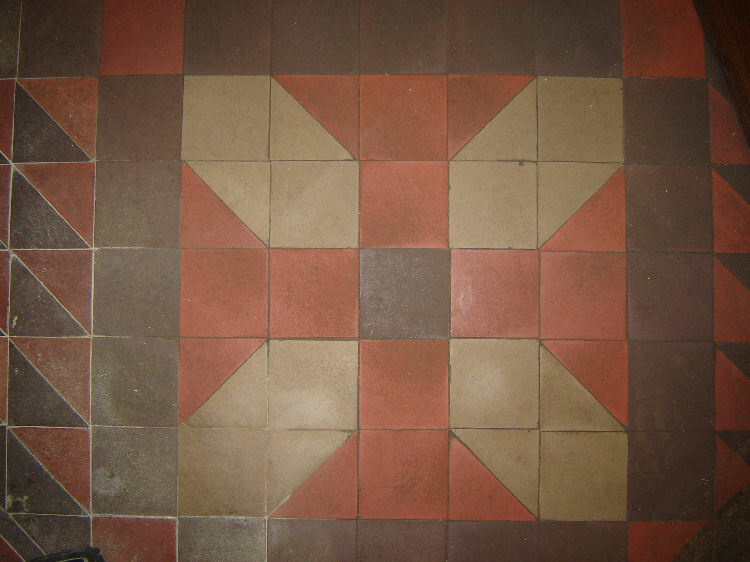 Today much of the detail is hidden underneath the walkway carpet, running the length of the aisle…..This is a shame as many people do not get to see and therefore not aware of the thought and design that went into the floor beneath them….let alone any hidden meaning. 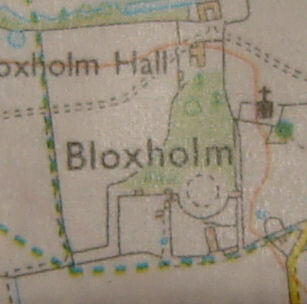 If nothing else it shows intentional planning and design….but why?...Why go to the trouble for a small church in a tiny hamlet. 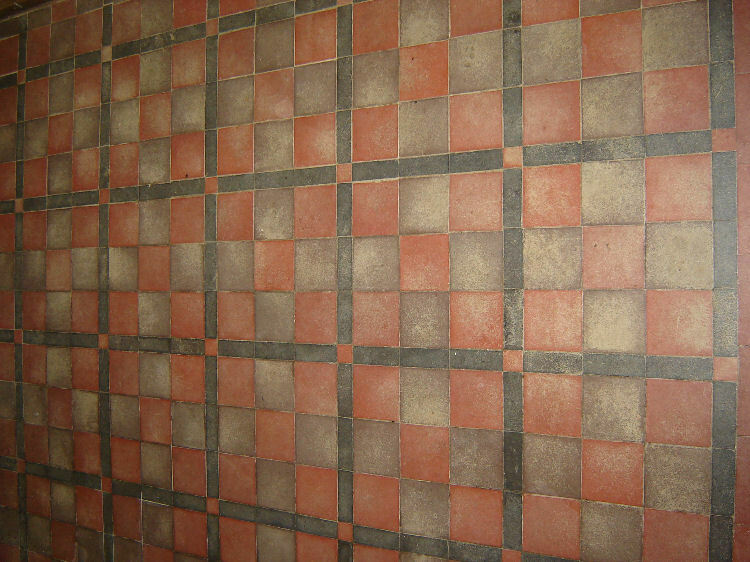 Below are a few pictures taken of the tiled pattern after the walkway was removed. 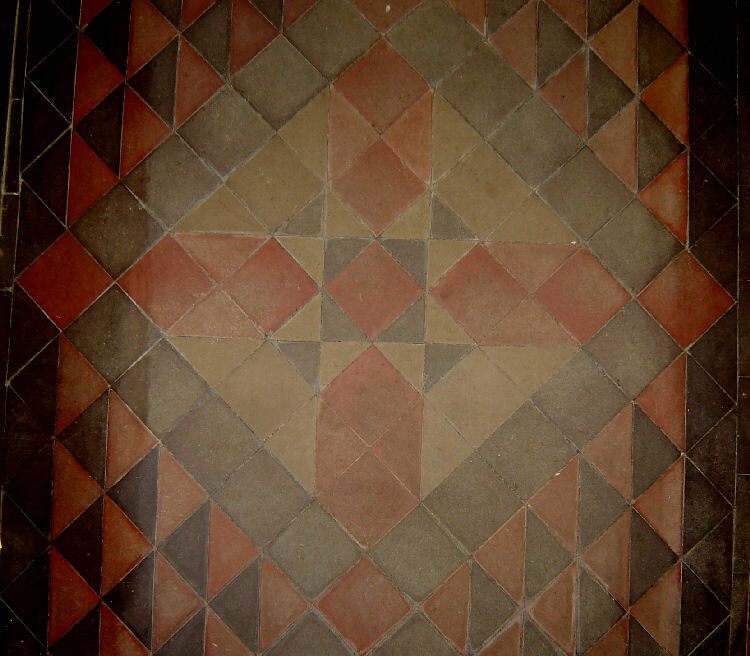 As you would expect I looked deeper than most into the intricate tiled patterns and made some interesting observations which coincidence theorists will of course say is ‘just a coincidence’. 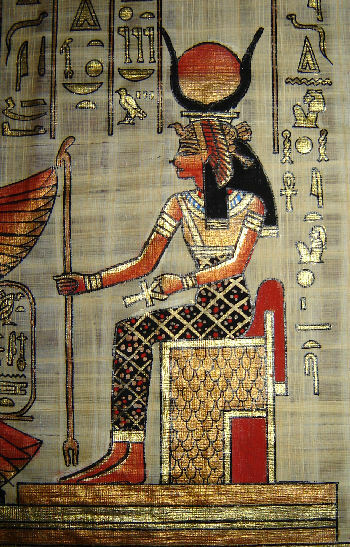 And 8 pointed stars… a geometric shape associated with Isis /goddess symbolism. 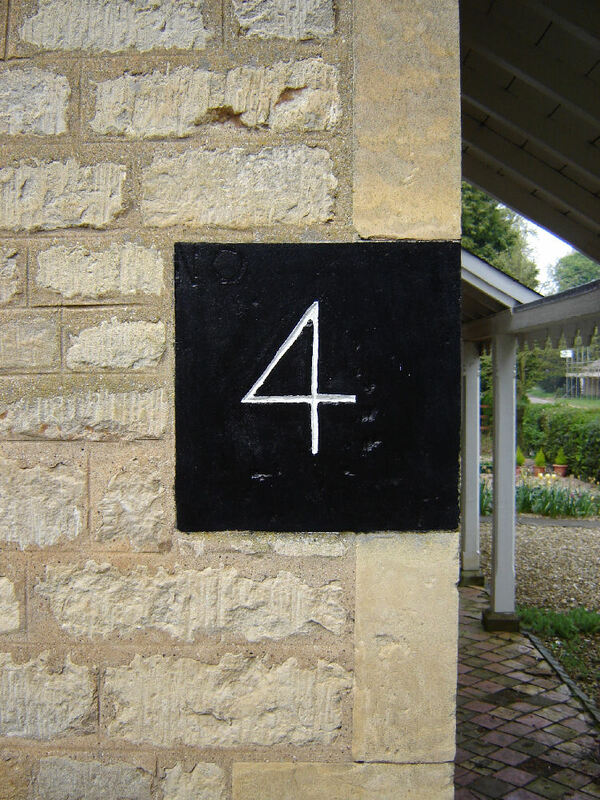 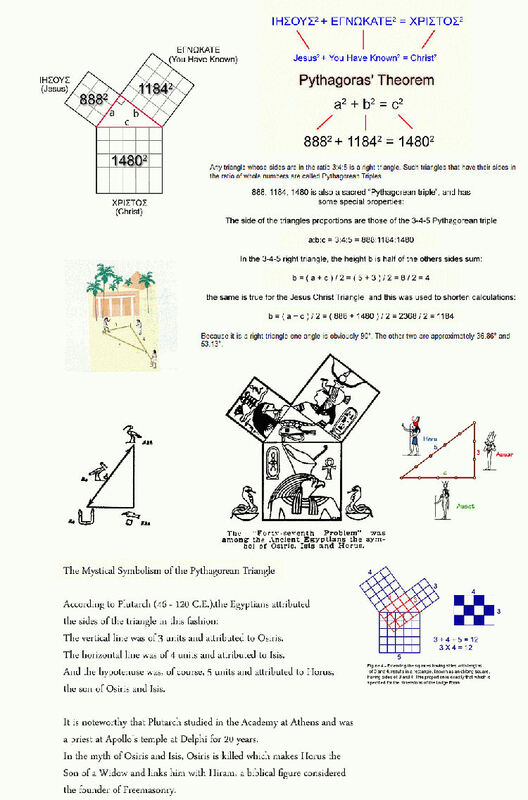 The square has 4 sides which may be the reason it has been used so profusely in the church…The real genius is in how the squares are then used to give the other 345 values. 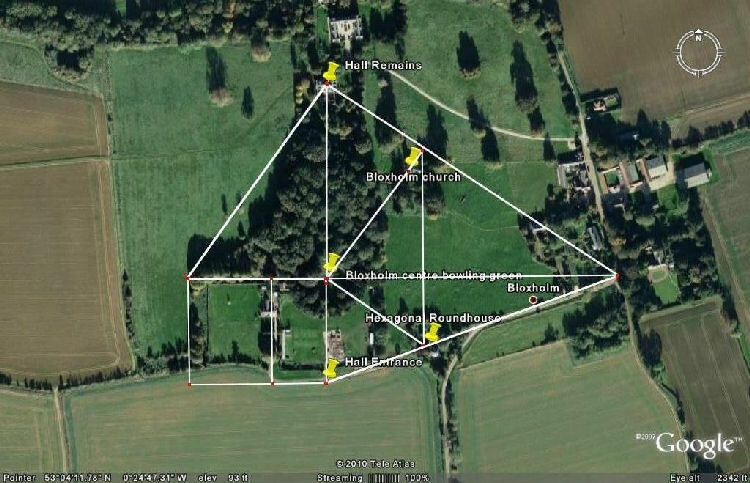 .Intentionally continuing the theme around what the village is based on and laid out to…that being the 345 triangle represented in the seated figure depicted in the layout of the hall grounds . 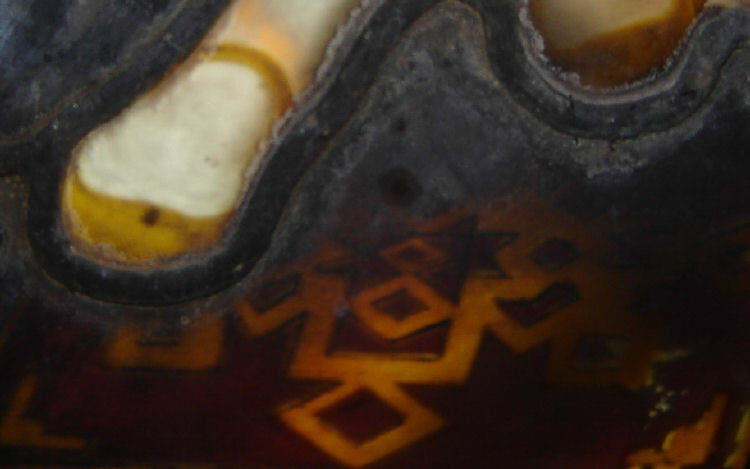 The picture below shows large squares made up of smaller squares and framed with 12 black inserts and four small red corner pieces. 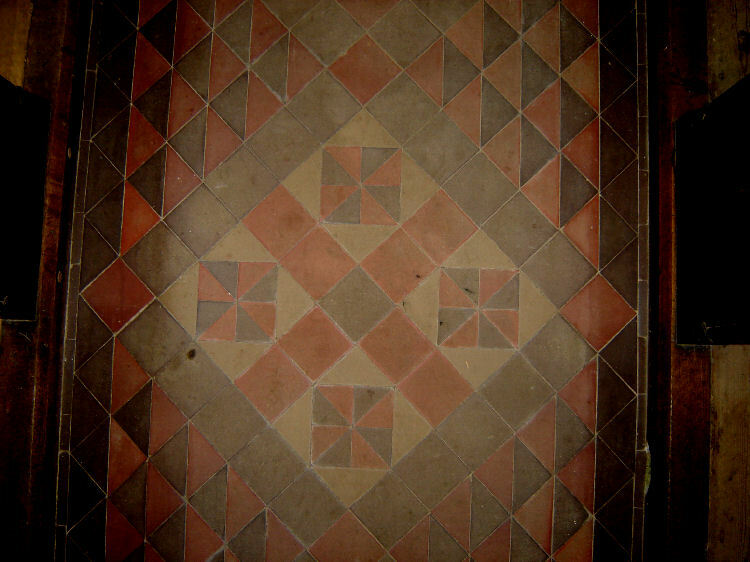 A copy of the Hans Holbein painting at the East end of the church shows two Isis stars placed in the floor of the image, one is under the foot of the character dressed in red …the other is to the characters left .The distance between the two stars is 111mm. 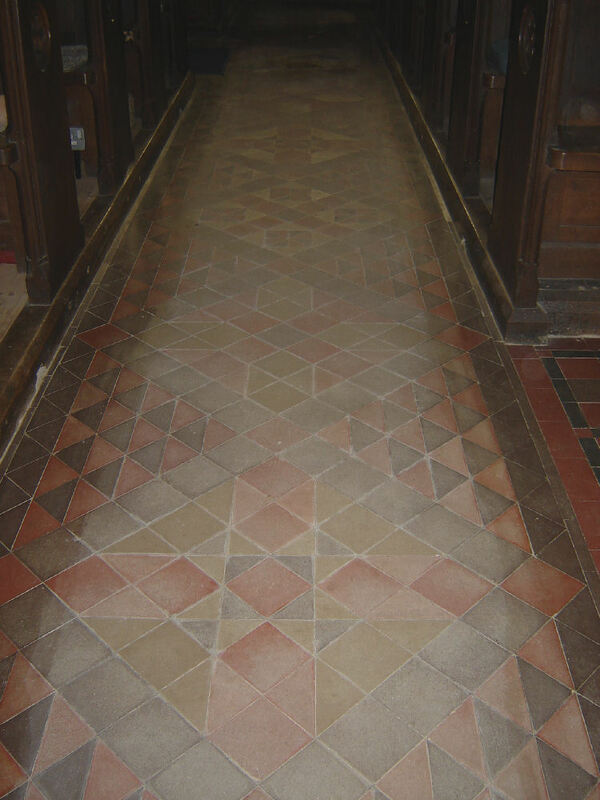 Once the walkway carpet was rolled back the same Isis stars were depicted in the floor, 4 in number, running the length of the church aisle.....These are spaced 111 inches apart. 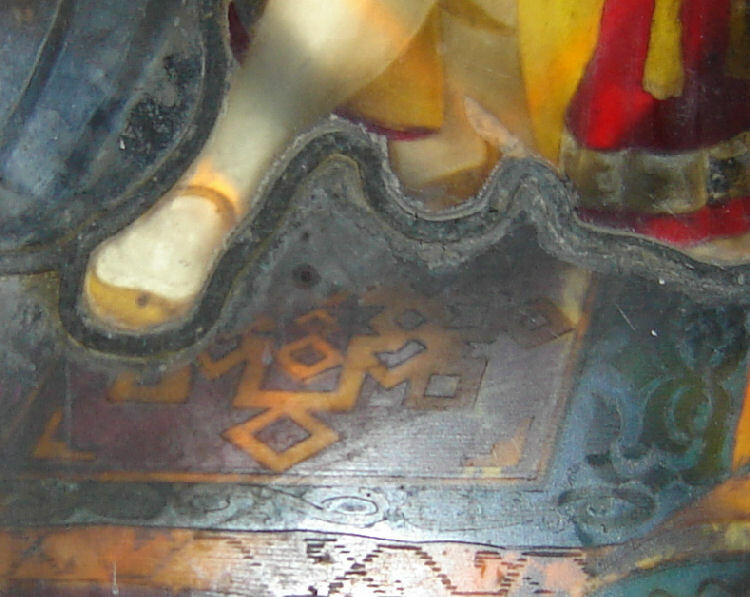 There’s probably more to discover within the church and the painting relating to the 345 theme and its numerical and geometric associations.